This little humble post card is a sacred image to hang anywhere near you for creative inspiration. 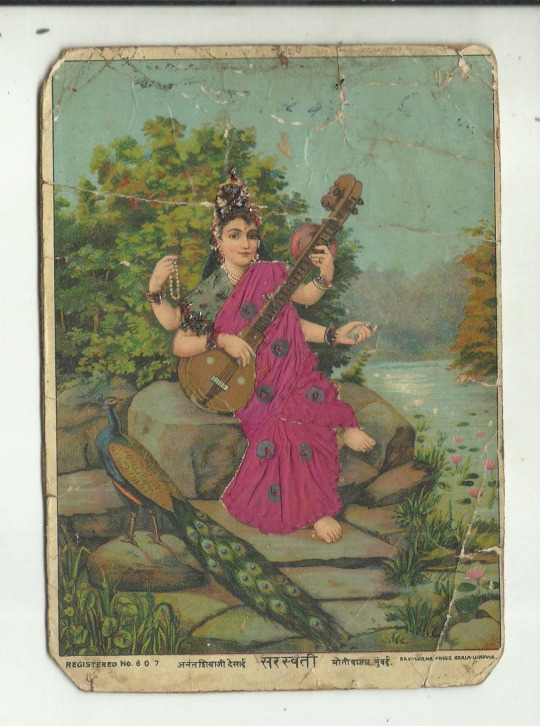 Saraswati is the Hindu goddess of music, knowledge, arts, wisdom, and learning - the ultimate Buddhist goddess. The illustration is created by one of the greatest Indian painters in history, Ravi Varma.